I prefer eye pencil as opposed to liquid eye liners. They are easy to apply and stay on my lids for the majority of the day. 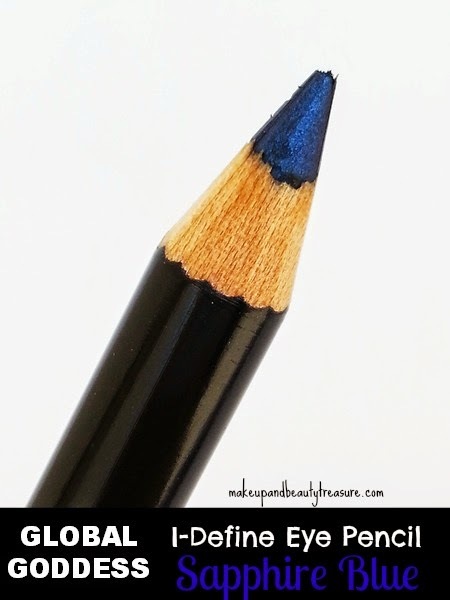 Blue eye pencil is a staple beauty product in my vanity. 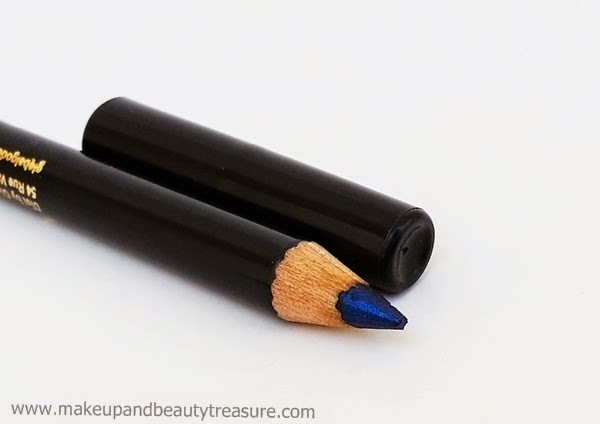 NYX Long Eye Pencil in Blue Lagoon has been my all time favorite but when I got Global Goddess I-Define Eye Pencil in Sapphire Stone, I can’t get enough of this. Global Goddess is a US brand that focuses on creating luxurious makeup products for its consumers. 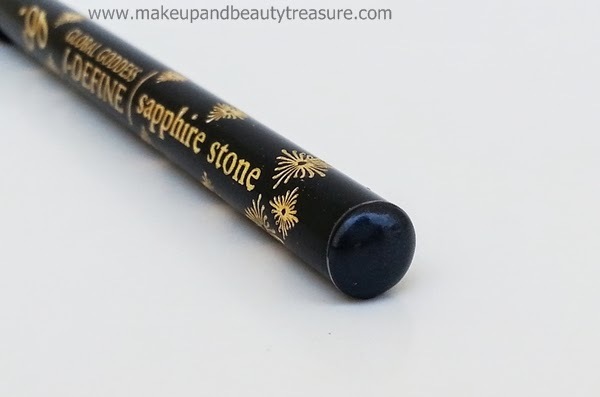 Today I am going to review Global Goddess I-Define Eye Pencil in Sapphire Stone. Global Goddess I-Define Eye Pencil is a thin, black lacquered wooden pencil with a same colored pull off plastic lid. It comes packaged in a cardboard box packaging with all the information written over it. It has colored end that allows easy identification of the shade in case you hoard many from this range. The lid of the pencil is quite tight and can be securely carried around in a makeup bag. The liner was tapered to a neatly sharpened tip when brand new. It enables a comfortable and easy hold on pencil during application. The shade name is written at the end of the pencil. The texture of the liner is smooth and creamy (though not as creamy as NYX long pencil but same as Bourjois Paris Khol & Contour Eye Pencil). It does not break or fall off and I do not need to apply much pressure to apply this liner. 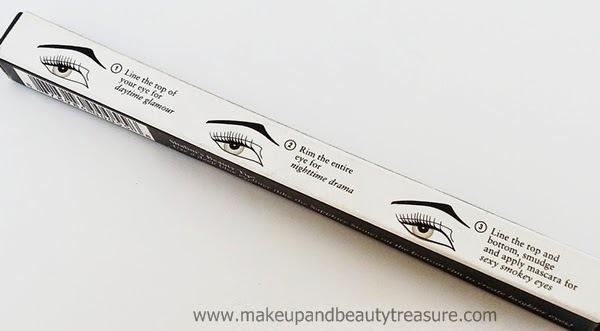 It glides easily across my eye lids with minimal effort to give a smooth, precise line. It creates a flawless and subtle line of color in just a single swipe. To get a more intense and dramatic effect, I need to swipe it 2-3 times. You can easily create thin or thick lines with this liner. It feels quite light on my skin. I also apply it on waterline and it looks gorgeous and makes my eyes look bigger. It stays put on my slightly oily lids for a good 7-8 hours without smudging or fading. It is not waterproof and comes off easily when in contact with water. The liner doesn't cause any adverse effects to my eyes. It sharpens very well with no flaking of the pencil fibers. Sapphire Stone is a gorgeous deep blue color with a lovely satin finish. It does not contain any shimmers or glitters. It has good pigmentation and gives true color in just two swipes. The shade is great for both day and night wear. It is quite dark and opens up my eyes instantly and makes it look bigger. It would look flattering on all skin tones and eye colors. It smudges really well and looks really glam on my eyes. It is a pretty color if you are into smokey looks. I have smudged the eye liner! • Allows precise application for both subtle and dramatic look. • Easily available. You can find it on eBay too. • Sapphire Stone is a beautiful deep blue color that looks good on all eye colors. • Can be used on waterline. 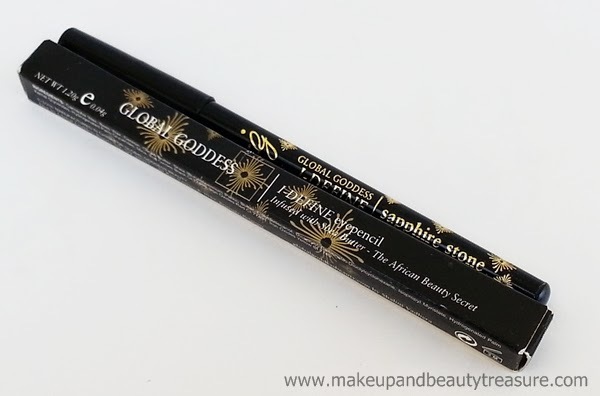 Overall I am really impressed with Global Goddess I-Define Eye Pencil. It has soft and smooth formula and glides on my eye lids like a dream. It gives true color in just two swipes and stays put on my lids for the majority of the day. It looks gorgeous when it is smudged for a smokey look. I would highly recommend it to everyone! 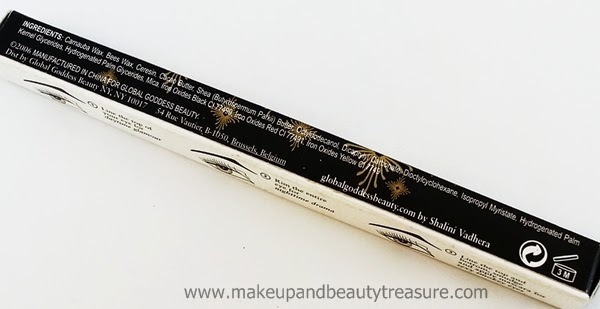 Have you tried Global Goddess I-Define Eye Pencil? How was your experience? Share in the comments section below! I always come across new and interesting brands on ur blog! This looks like a great eye pencil! Loved the EOTD! Yeah Gowthami i am loving it a lot :) Thanx sweets! The colors looks beautiful. But yes, I do agree with Natasha. It looks more like grey. May be it's the flash? Yeah Nivi color is fab for everyday wear! No no its very deep blue. Its looking with grey hue cos i smudged it! Yeah i clicked the pics with flash on so may be its looking more grey! Lovely EOTD! Pencil looks quite good! Beautiful EOTD! Thanks for introducing this brand Megha :) Will check it out for sure. Thanx so much Lancy! Pleasure is all mine :) Do check it out! 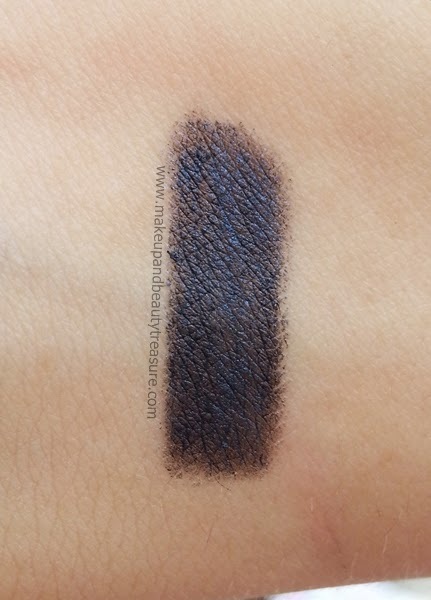 Such gorgeous shade and it is so pigmented, loved your eye swatches.